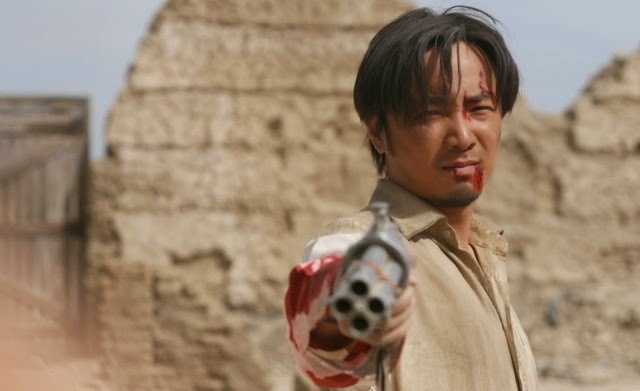 On the far side of the Gobi desert a high priced hotshot attorney from Beijing gets a man off for killing a cop. The man was part of falcon smuggling operation. The client tells the attorney he will be paid in ten days but attorney insists on taking his clients car as collateral instead. He takes the car and heads off unaware that there is something in the car and that he is heading into a situation that is going to be way over his head. Director Hao Ning has fashioned a dark action comedy where everyone is on the make and everyone has an angle. Its a bunch of not wholly likable characters all trying to get an advantage on everyone else. Its the sort of film that makes you wince at the violence and has the laughter kind of catching in your throat. I like the film a great deal and recommend it when it plays tomorrow night at the festival. If nothing else this is a great looking film that uses the widescreen frame to marvelous effect-so much so I wish I had seen this on the big screen. That said, if you go don't expect a light action comedy, this is something a tad darker.